The professional whitening system we use works by restoring your teeth’s youthful ability to absorb oxygen. The oxygen from the whitening gel is absorbed deeply into the tooth, dissolving and removing stain molecules. This system delivers long lasting results with easy and minimum periodic home maintenance. Whitening products have been clinically studied for more than three decades and safely used on millions of patients without harm to teeth or gums. 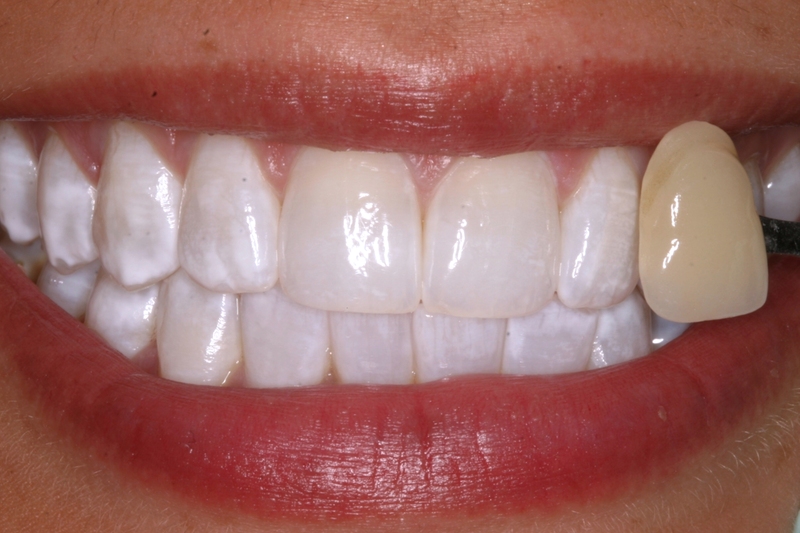 With the right whitening technique and material you can expect to brighten your teeth up to 16 shades lighter , we even treat Tetracycline discoloration now-a-days which was previously impossible. 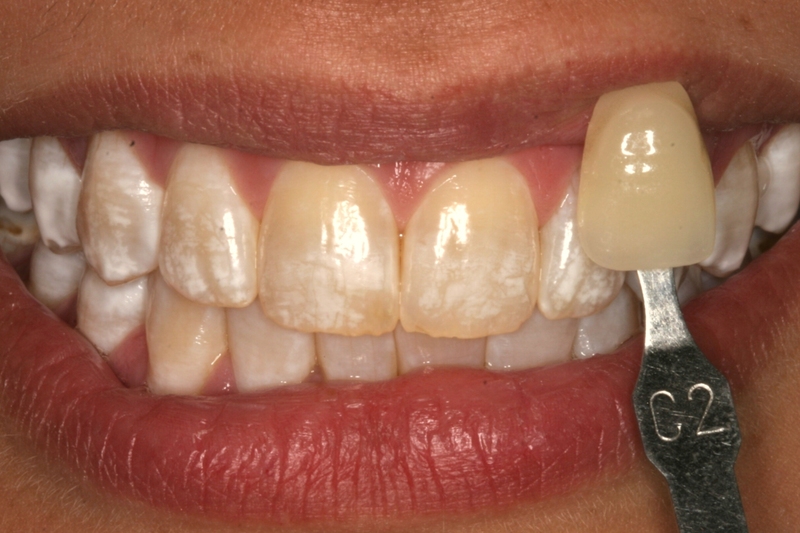 However; note that whitening products have no affect on crowns and white fillings; therefore, if you have any of these restorations on your front teeth you will need to replace them after the whitening.